Tired of getting the cold shoulder from unreceptive prospects? While making every prospect more receptive to your sales pitch isn’t practical (or possible), there are ways to create a higher ratio of prospective customers who are interested in your business. Ask most people to describe a salesperson and they’ll give you a less-than-savory description. Avoid the age old salesperson stereotype by setting aside high pressure sales tactics and other tired tricks. Instead, be friendly, authentic and approachable, both in person and through your business’s sales materials. For example, if you connect with prospects in person or over the phone, start the conversation by engaging with prospects on their level. Speak to their interests and then provide suggestions on how your business can meet those interests or solve specific needs. If you engage with prospects through written or visual content, make the content approachable and center the messaging on the needs of your target market. By avoiding the salesperson stereotype, you’ll start to cultivate more receptive prospects. Want prospects to knock on your door instead of vice versa? Beef up your business’s online presence by implementing an inbound marketing strategy. This type of marketing strategy includes creating content online that will reach your target market, speak to their needs and entice them to return to your site and learn more about your products or services. Popular and effective inbound marketing tactics include SEO enhancement, guest blogging and social listening. In today’s digital world filled with clusters of salespeople touting why they’re the best, consumers simply want to turn off the noise and have their needs heard. Solve a prospect’s pressing need and they’ll buy what you’re selling in a heartbeat. But to do this, you must first develop a deeper understanding of your target market. Generate as much information as you can on target prospects and use those details to tailor your content to their interests. This tactic takes a lot of time and plenty of revisions but is worth the end result of cultivating more receptive prospects. Want to know the fastest way to turn a prospect away from your business? Do it by rushing to close a sale. You don’t increase sales by pushing unreceptive prospects to sign on the dotted line before they’re ready. 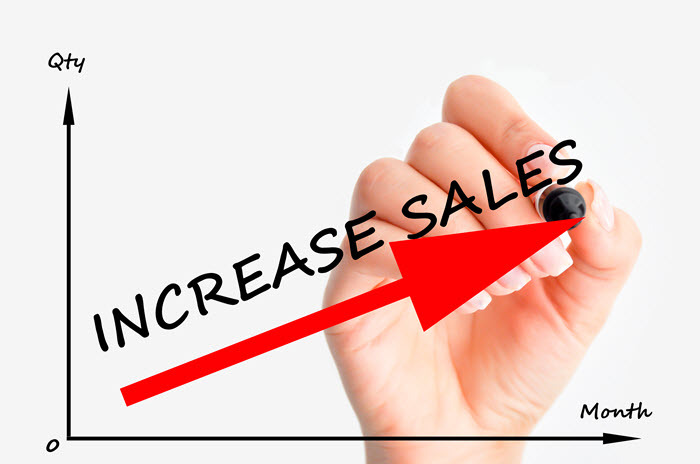 As the following article looks at, you generate more sales by creating more receptive prospects that have been given the time needed to process your offer. Be available to answer follow-up questions and to provide other requested details, but respect prospects and close deals on their terms. Tired of the cat and mouse sales game? Reduce your frustrations and key-in on receptive business prospects by avoiding the salesperson stereotype, pinpointing the needs of your target market and by providing value in your words, content and other business materials.